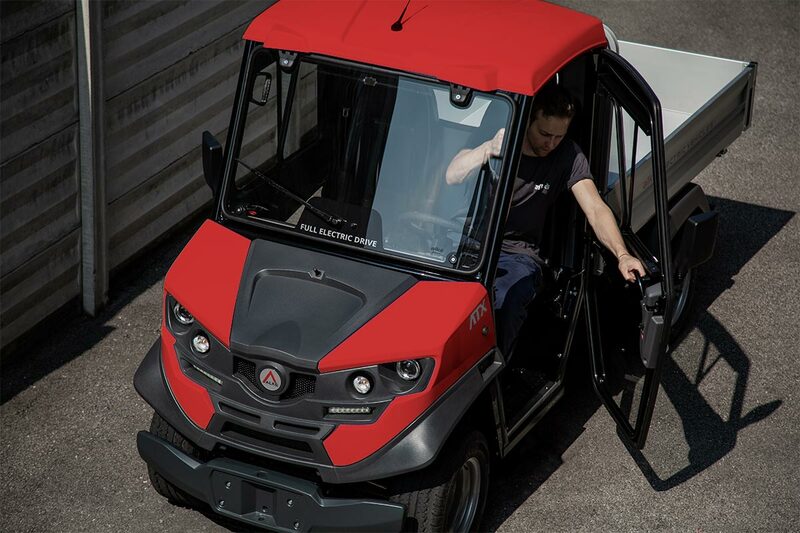 ATX320E are professional zero emission electric vehicles with road omologation, loading capacity (chassis) of 635 kg and towing capacity of 2.000 kg. 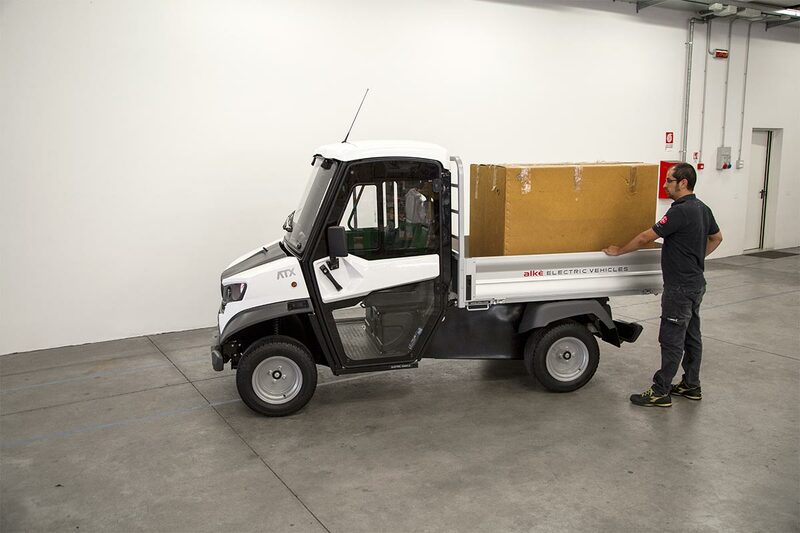 Why choose the ATX320E professional electric vehicles? 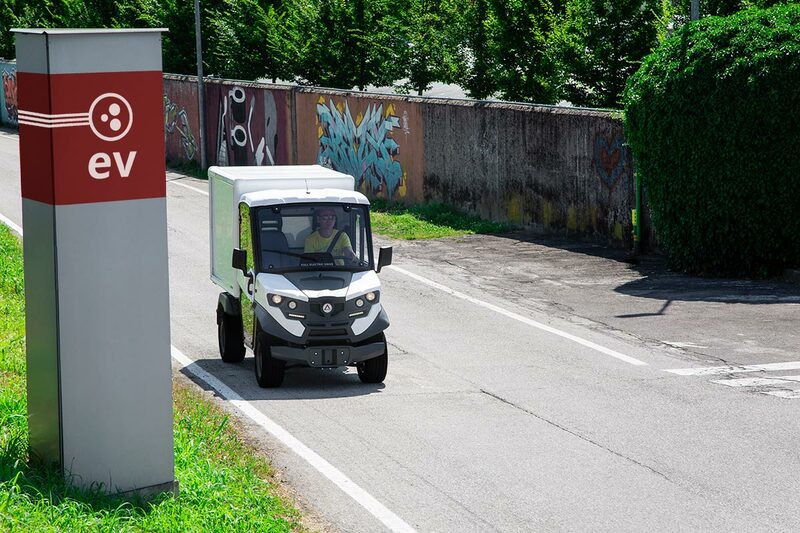 The ATX320E is a N1 European road omologated vehicle with AC motors of 8 kW (14 kW peak), double speed mode (ECO & SPORT), motor brake system with energy recovery, best in class 385 A Curtis controller, 8x6 V (8.7 kWh) or 4x12 V (9 kWh) drive batteries and on-board high frequency charger to plug wherever you need. 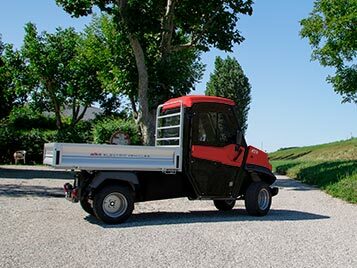 The ATX320E fits independent Mac Pherson front suspensions and De-Dion axle with a stabilizer bar at the rear assuring permanent all wheels grip, even on rough ground, avoiding possible skidding or loss of control. 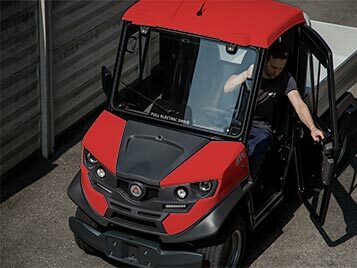 The ATX320E and ATX310E versions are different thank to their rear cargo bed and wheelbase dimensions. 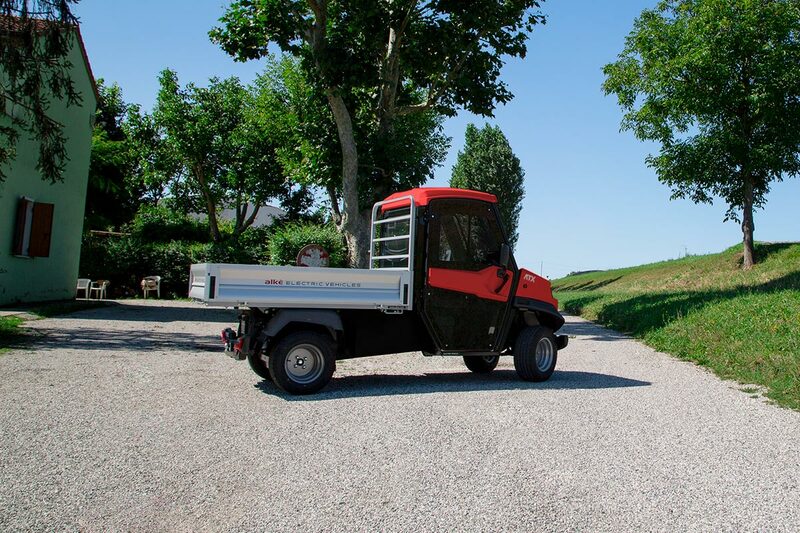 For the ATX320E, the rear cargo bed presents 180 cm of width. 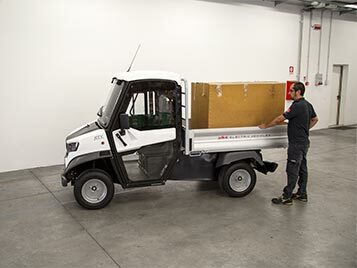 ATX320E are professional electric vehicles designed to resist work loads of more than 8 hours a day. Finishes are cared for in every detail. 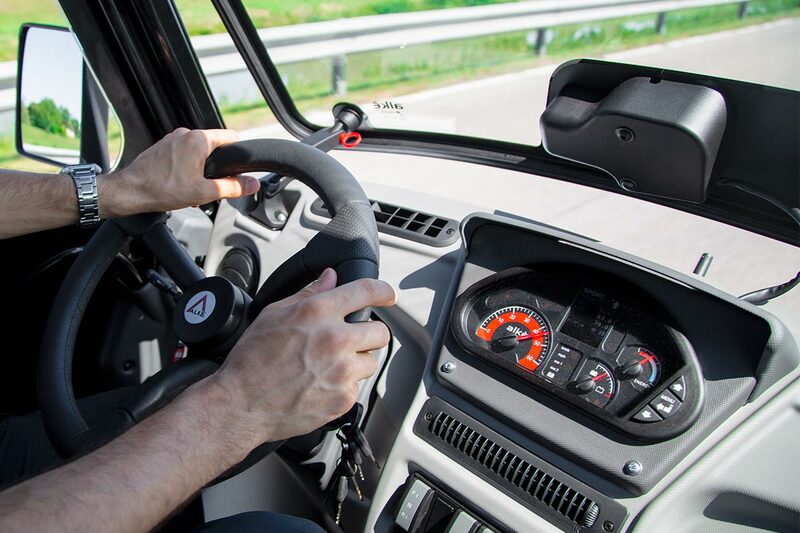 The modern dashboard laid out like that of a car allows the user to keep all the vehicle tools and commands under control at all times. 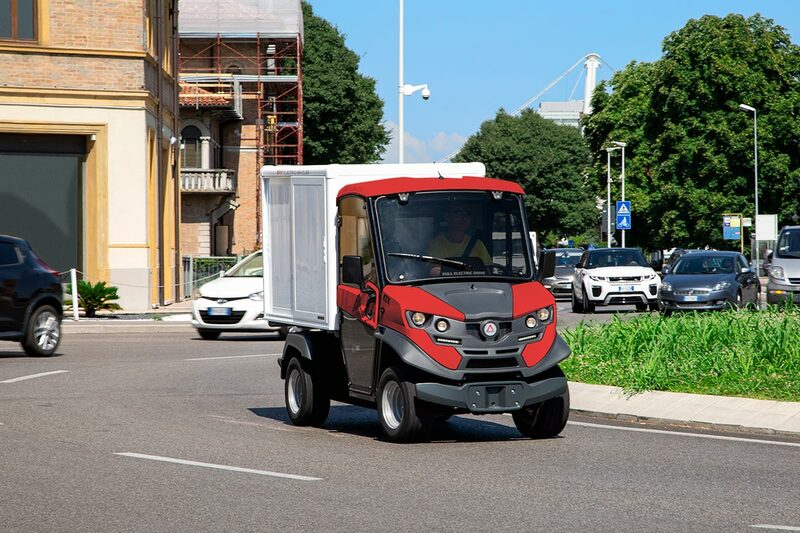 For demanding environmental and climatic conditions a cab or half-cab may be fitted, and there is also the possibility of a Webasto internal heating system. 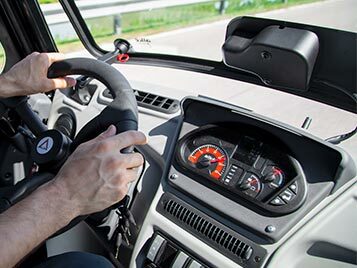 Max Speed: 44 km/h The maximum speed is indicative and evaluated e in optimal conditions in SPORT mode. 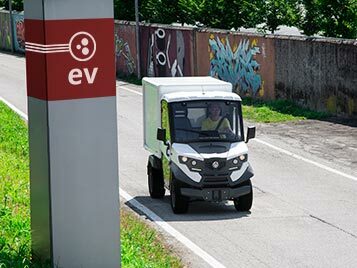 Autonomy: 75 km The maximum autonomy is indicative and evaluated on flat route under optimal conditions of use, ECO mode with proper and energy-saver driving style, max speed 20 km/h, not continuous use (discharge batteries in 5 hours). Width: 127 cm The small width allows to operate in confined areas. 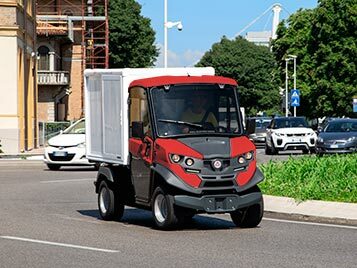 Send us a short message if you would like to receive the prices of the Alke' ATX320E electric vehicles:.